With her more than 20 years of proven expertise in career centre and student services management, Marilyn Van Norman was recognized for a long history of leadership to the career development field. Van Norman held roles at the University of Toronto as the Director of the Career Centre and later Director of Student Services. Her book Making It Work: Career Management for the New Workplace was a Canadian bestseller. She also chaired the National Consultation on Career Development (NATCON) for 15 years. She has been the recipient of a number of other awards including the Award of Merit, Outstanding Contribution, Life Membership CACEE; Contribution to Career Counselling, Ontario College Counsellors; and The Joan Foley Award for Significant Contributions to Enhancing Student Life, University of Toronto. Dr Denis Pelletier was recognized for his lifetime of work in the area of humanistic psychology and career development as a teacher, speaker and author. Pelletier was a Professor in the Department of Counselling and Guidance (Educational Sciences) at Laval University in Quebec City from 1966 to 1996. He has been an invited professor to various countries, such as Belgium, France and Brazil. His major fields of interest are creativity, personal growth and identity in career development. He was the founder of Septembre éditeur, a publisher of books and manuals in guidance and career counselling, where he has worked for more than 20 years. Pelletier himself has published widely on educational guidance. He has also been a member of the l’Ordre des conseillers et conseillères d’orientation et des psychoéducateurs et psychoéducatrices du Québec (Quebec order of counsellors, guidance counsellors and psycho-educators) and is one of only six of its emeritus members. Dr Norman E Amundson was recognized for his career development leadership in research, counsellor education and practitioner training. He is a Professor in Counselling Psychology at the University of British Columbia, Canada. His research focuses on counselling methods, unemployment, and changes in working life, while his numerous lectures, articles, workshops and seminars emphasize the importance of imagination, creativity, cultural awareness, hope and active engagement in the career counselling process. His publications include over 100 journal articles; training DVDs; a number of books – many of which have been translated into different languages; and several career workbooks. Amundson has played active leadership roles within the career development sector, in Canada and internationally, including the British Columbia Career Development Association, the US-based National Career Development Association and the International Association of Educational and Vocational Guidance. Researcher and educator Dr Mildred Cahill was recognized for her work with marginalized groups and distance career counselling. Cahill is a Professor in the Faculty of Education at Memorial University of Newfoundland. She has 25 years of expertise in the areas of inclusive career development/counselling, cultural diversity, including First Nations, young girls and women, displaced workers, youth and adults in transition, policy implementation and evaluation. In the past, she directed the Centre for Distance Career Counselling, a collaborative research venture with a mandate to design, implement and evaluate career development programs for diverse culture groups. Involved at the K-12, post-secondary and community levels, Cahill was lauded for her significant and sustained commitment to the profession, including her most recent work with Inuit students in Labrador. Dr Bryan Hiebert was selected to receive the award for his many contributions to advancing career development in Canada and around the world as an educator, researcher and author. Hiebert holds positions as Professor Emeritus of Education, University of Calgary; Adjunct Professor, Department of Educational Psychology and Leadership Studies, University of Victoria; and Adjunct Professor, Faculty of Education, University of Lethbridge. His research interests include counsellor education, career development, and demonstrating the value of counselling services. Active with many professional groups, Hiebert is an Associate of the Canadian Career Development Foundation (CCDF), a member of the Canadian Research Working Group for Evidence-Based Practice in Career Development (CRWG) and was has been both Vice-President and President of the International Association for Educational and Vocational Guidance (IAEVG). Donald Lawson was recognized for his lifetime of achievement in supporting the career development sector across Canada. Lawson’s record of community service began more than 60 years ago through involvement with the YMCA of Greater Toronto. Then, in the late 1960s, he was recruited to be Chair of the Board of the Y, which was then in deep financial crisis; he led a renewal effort that helped to make the Y, among this country’s largest providers of career and employment counselling, into one of the most active and respected charitable organizations in the community. In 1984, Lawson took over as Chair of The Counselling Foundation of Canada, where his efforts focused on helping those on the margins of society, including children and youth-at-risk, Aboriginal peoples, immigrants and new Canadians, single-mother led families, and people with physical and learning disabilities to lay the foundation for their employability and to achieve their potential. Lawson also played a key role as a founder of the Canadian Education and Research Institute for Counselling (CERIC). In recognition of his leadership and contributions to career development in Quebec, Canada and around the world for over 30 years, Michel Turcotte was selected to receive the award. As a manager, researcher, consultant and trainer, Turcotte held key positions in the federal government Department of Human Resources and Skills Development. He has been actively involved on boards, including the Ordre des conseillers et conseillères d’orientation du Québec (OCCOQ), the Canadian Counselling and Psychotherapy Association (CCPA) and the International Association of Educational and Vocational Guidance (IAEVG). 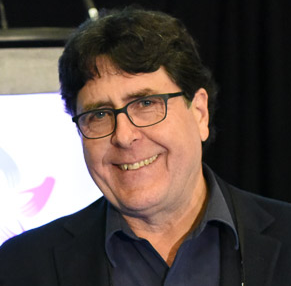 Additionally, he has played leadership roles in the Canadian Standards and Guidelines for Career Development Practitioners (S&Gs) and the creation of the Canadian Research Working Group for Evidence-Based Practice in Career Development (CRWG). Turcotte has distinguished himself in developing models and tools for providing educational and career counselling as well as training and certification programs for counsellors. He has managed research on the use of labour market information and organized initiatives to improve the skills of careers practitioners nationally and internationally.